Named for the peanut butter, peanut butter chips and peanuts, these”Triple Play Peanut Butter Cookies “are among my all-time favorites. While typical peanut butter criss-cross cookies are crisp and sandy textured, these are soft centered dense peanut butter cookies with crispy edges and richness from the candy chunks. Be sure to either weigh your flour or measure with a light hand. The original version is from King Arthur. 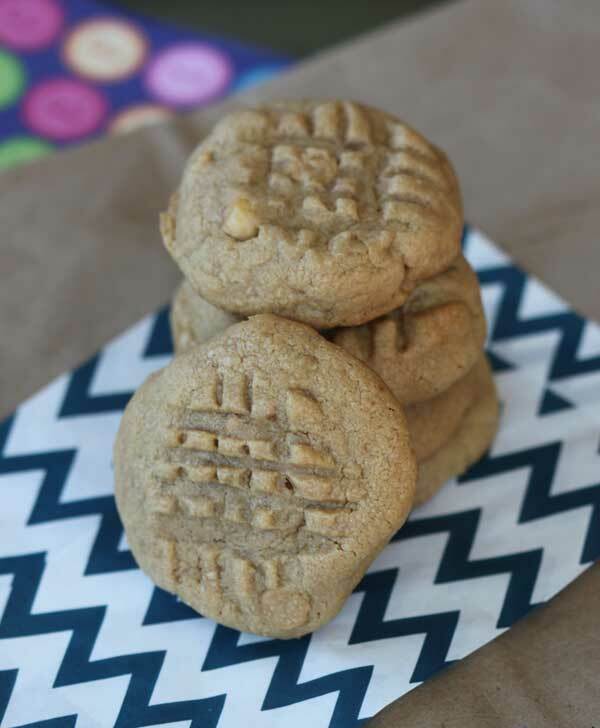 Adapted from The King Arthur Cookie Companion, Triple Play Peanut Butter Cookies get their name from peanut butter, peanut butter chips and peanuts. Preheat oven to 350°. Line two baking sheets with parchment. With an electric mixer, beat the butter, sugars, peanut butter, vanilla, baking powder, baking soda, and salt until well mixed. Add eggs one at a time, beating until combined. Stir in the flour, nuts, and chips. Drop by tablespoonfuls (or heaping tablespoons) onto prepared sheets and bake for 10-12 minutes, until set and brown around the edges. Remove from oven and cool on pan 5 minutes before transferring to wire racks to cool. Note: If you don't have a scale to weigh the flour, make sure to stir it and aerate it a bit before measuring with the cup. Too much flour can contribute to dryness. The yield and bake time will vary depending on how big you choose to make your cookies. I often double the tablespoon size and make somewhere between 30 and 40 giant cookies. For thicker cookies, drop the dough onto foil or parchment lined sheets and chill them until they are very firm. Arrange chilled dough balls on baking sheets and bake as directed. The cookies will be even thicker if you chill the shaped dough balls overnight (or however long you need) in a freezer bag. Sometimes this has to do with the type of flour you use — bleached vs. unbleached. They vary in protein levels and acidity and their ability to absorb liquid is a little different. 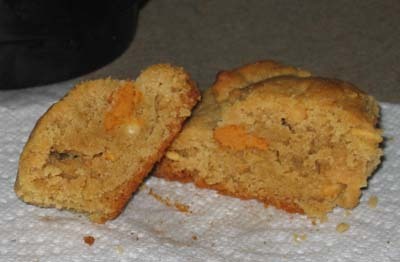 When I made these cookies, I didn’t note the type of flour I used, but I generally use “unbleached”. Do you think you might have used “bleached”? At any rate, it’s not a problem. Next time the dough seems too crumbly, add a few teaspoons of water or enough to make it more cohesive. First of all, I LOVE your website. What an inspiration to amateur and professional bakers alike! Secondly, I made these cookies today and they tasted amazing! The only problem I had was they were a bit on the crumbly side. I’m sure it was something I did and not your recipe. Do you know what I could’ve done wrong? I just made these today, leaving out the nuts and using the chocolate/caramel chips (trying to use the bags that I have lol). I really like them, just not with those chips. Doh!